The nearly 14-year long con to bring Fletch back to theaters has yielded a litany of proposed directors and stars that reads like a timeline of pop culture obsessions—including Kevin Smith and Jason Lee, Ben Affleck, Joshua Jackson, Zach Braff, a steak sandwich, Ryan Reynolds, Brett Ratner and Chris Tucker, and another steak sandwich. 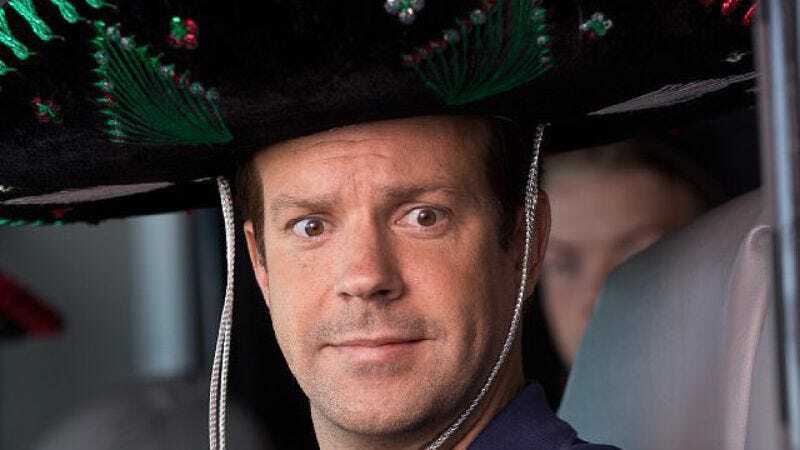 You can now add Jason Sudeikis to that list, as The Hollywood Reporter says the heir to Chevy Chase’s “smirking SNL player turned patriarch of wacky movie road trips” lineage is the latest name to be attached to a project that’s passed through more guises than its titular, unusually-skilled-in-improv reporter. This newest Fletch is also the oldest. It’s based on Gregory McDonald’s Fletch Won, the eighth novel in his series but the first chronologically, as it’s—yes—an “origin story” that covers Fletch’s early days as a reporter, when he was just learning the Associated Press style and application of prosthetics crucial to having a successful writing career. Taking on what other screenwriters (most recently, Seinfeld’s David Mandel) have tried to no avail, David List—whose THR-noted credit is that he “reps the McDonald estate”—has created the latest draft of an adaptation, one that’s described as “more tonally in line” with the late author’s books. It’s also described as “gritty,” in line with the marketing strategy for “origin stories” of all popular characters. So should this one move forward, we could finally see a Fletch that leaves out that distractingly glib, lighthearted fun, and gets to the gritty investigative journalism.